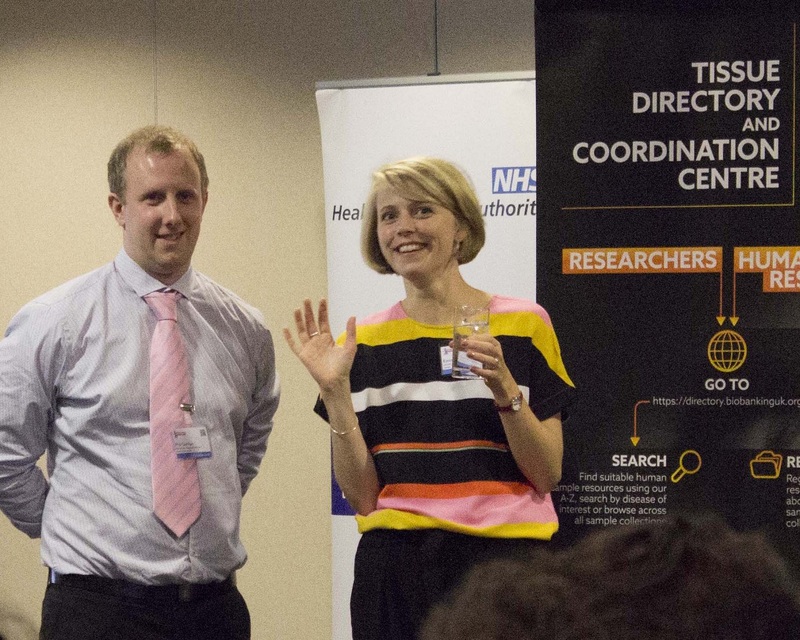 In our latest blog post we meet Engagement Manager, Research, Dr Emma Lawrence to find out more about her role and future work at the UKCRC Tissue Directory and Coordination Centre (UKCRC TDCC). My job title is Engagement Manager for Research. It’s my job to make sure that the UKCRC Tissue directory is as useful and relevant for as many biomedical researchers as possible. This means working with Bioresources to ensure that their directory profiles are up to date and accurate. We have been developing as many different resources as possible to help sample custodians register. I am also on hand to talk registrants through the process over the phone. We have held a series of roadshows on the directory around the UK to help Biobanks understand the process. The second part of my job is promoting the resource to biomedical researchers in the UK. This includes presenting at external organisations and conferences and advertising the resource online. We are also embarking on a research project on human tissue in research to make sure that we are addressing the needs of biomedical researchers appropriately. I have been here about 18 months. Previously I worked on a project which used data to model influenza infections and prior to that I studied immunology. I am proud of the recent events we have hosted, particularly the 2017 annual meeting which was a sell-out! It’s great seeing everyone enjoying themselves. The research project that we are starting this year: ‘barriers to using an online directory to identify human samples for research’. The aim is to really understand the needs of our users. The first part will consist of a survey, which will capture the main reasons researchers use human samples in their research. We also want to find out how they source the samples and why they choose that source. The idea is to build a better picture of the sector, particularly any barriers to using human samples. The second part of the research will be a series of focus groups which will build on the survey results through more detailed questioning. We also want to showcase the current UKCRC Tissue Directory to biomedical researchers to get feedback on the resource which we can use to shape the future development. Dealing with people who are resistant to change is really hard and sometimes happens in this work. It is also frustrating when we can’t find samples for researchers when I know they must exist somewhere! The best thing about my job is the variety; I get to meet different people and use a range of skills such as writing and presenting. I really love working with the Biobanks to help researchers find the samples they need. Watching the Directory grow and grow has been really satisfying; now we want to make it as useful as possible for researchers. To find out more about the research on human tissue use visit our blog or contact us.